In 2009 and 2010, Shelaghmichael Brown was recognized by U.S. Banker as one of the Top 25 Most Powerful Women in Banking. She serves on the Board of Directors for BBVA Compass and is the bank’s former head of retail banking. 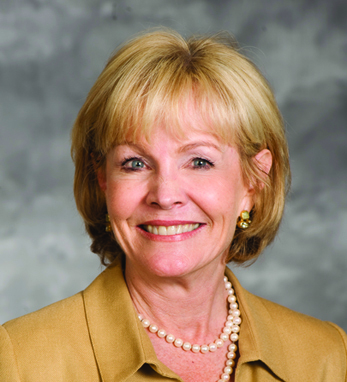 Before joining BBVA Compass in 2007, Shelaghmichael was president of Rediclinic, Inc. Prior to that she was CEO of Telecheck International. She began her financial services career at Morgan Guaranty, a predecessor of J.P. Morgan Chase and went on to spend 25 years at J.P. Morgan Chase. Shelaghmichael is also a board member of the Consumer Bankers Association, a board member of CanCare and a graduate of the American Leadership Forum. She earned her BA from Wheaton College and her MBA from the University of Chicago. A second-generation Irish American, Shelaghmichael has roots in Tipperary on her father’s side and Kilorglin, Co. Kerry on her mother’s side. She is married and has five children.